This trial is for the purpose of the mitigating the vindictive political purpose. There is no chance to bring the accusation of war crimes or crimes against humanity because of political opposition. No government is the last government and the trial in hereafter life is not last trial. 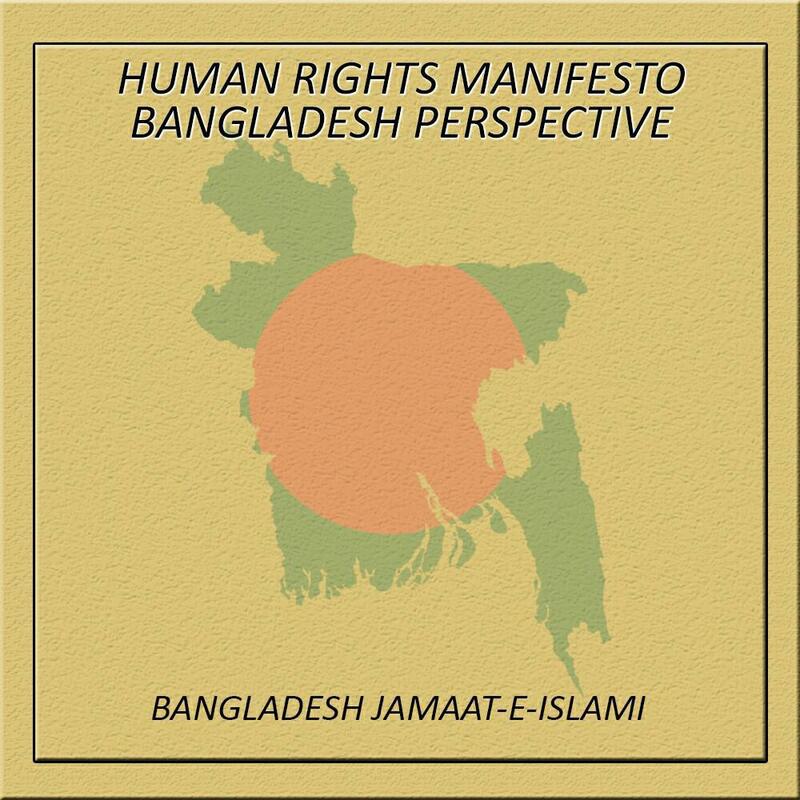 Ameer-e-jamaat and the previous Minister Moulana Motiur Rahman Nijami said, “The accusations brought against me are the worst falsehood in the history where I had no relation” This trial is conducted to mitigate the vindictive purpose of politics. I had no relationship with any kind of activity other than politics”. “I think that there is no chance to bring any suit only for political reason. It is clear to my heart, to Allah I had no role other than politics” he added. “I had no relationship with any kinds of activities which are war crimes or crimes against humanity and Allah did not involve me with kinds of such activities”, he added. “No government is last government. No Trial in worldly life is the last trial. Another trial is available after this trial. All will have to face such trial”, Nijami added. He said, “The above statement in the tribunal at time of framing charge against him yesterday in tribunal-1.Chairman. Nizamul Hoque Nasim, Anwarul Hoque and Justice AKM Zaheer mAhmed were present in the tribunal. Tribunal asked Moulana Nizami whether he was guilty or not after reading out the charge. At this time, he wanted permission from the tribunal to say something and added that he heard as to giving permission to others and so he requested not to deprive him of such rights. After getting permission from the tribunal Moulana Nijami made speech for 18 minutes from 11.50am to 12.08 pm. Moulana Motiur Rahman Nijami said, “I had no role other than politics in 1971. I was not involved with any things. Rather I demanded to hand over the powers to the locally elected representatives. 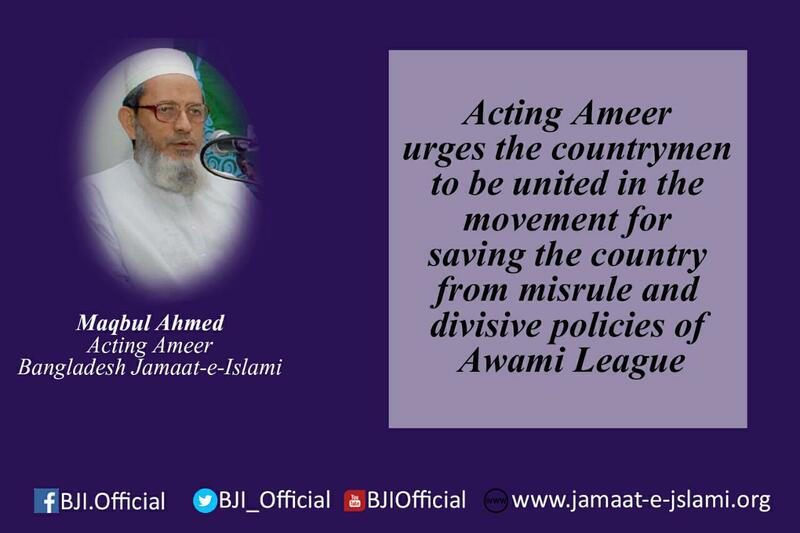 Jamaat-e-Islami was also claiming the demand to hand over the powers to the elected representatives. “Cahtro Sangha” also claimed the same demand”. “If the power was handed over to the elected representatives, such heinous incidence was not occurred. The history knows who created the obstacle to hand over the power. No one can give any proof that Jamaat-e-Islami created the obstacle to hand over the power”, he added. Moulana Nijami said, “I opposed the speech of Bhutto at first. Bhutto created obstacle to hand over the power. That the issue whether Bhutto exercised the power through Yahya or vice versa is claiming the demand of investigation. We had no connection with any reasons and grounds which created Genocide”. Moulana Nijamai said, “I was president of “Islami Chatro Sangha” of undivided Pakistan incidentally. I was in post up to the last week of September. I was freed from the post by conference held in Multan at about 25-30 of the September. I had no activities after that day. Later on I acted as fellow in one research centre. The accusation no. 16, I was not in any position of the “Cahtro Sangha” let alone president even I was not member of Jamaat during that time. So no question can arise as to my roleas to president or activist of Jamaat-e-Islami”. He added, “I has been mentioned as the chief of the ‘al Badr’ but the evidence provided supporting this accusation did not prove me as the commander of ‘al Badr bahini’ and commander of ‘Rajakars’. The book provided for support as evidence said, the ‘Ansar Bahini’ was transferred as ‘Rajakar Bahini’. All properties of ‘Ansar Bahini’ were given to the Rajakar Bahini. Adjutent of the ‘Ansar Bahini’ was changed to ‘Rajakar Bahini’. The persons who were the officer of that Bahini, they became the superior personalities in the ‘Rajakar Bahini’. So how the opportunities are available to me to be chief of Rajakars or Coammander of Rajakars? The book prepared by you proved that I had not chance to be the commander of the Rajakars”. Nijami said, “The speech made by me as president had been mentioned as the accusation. But I am not fully agreed with the report of police. The quotation of “Sura Towba”, 111, 112.the partial translation of Ayat 111 had been mentioned but the translation of no words from the ayat 112 was not mentioned.the incidences of other places may also be same. This proves that the newspaper does not report true matters every time”. At this moment the chairman of the tribunal-1 said to finfish the speech. Moulana Nijamai said, “Several accusations had been made against me in the Code of criminal Procedure, 1898 and I am clear with my heart and mind, I am clear to my creator Allah , I had no role other than political role .But I had no relation with any immoral, war crimes or crimes against humanity. Allah did not make me involved with such crimes. The incidences for which accusations had been made against me, I want to say as to this issue, no one of such crimes is committed in the presence of mine, consent of mine; I was not familiar with anyone”. He again said, “The names of the places where I have visited were published in the newspaper. I am only son of my parents. But I did not go to meet with my parents for single day. I did not stay there. So the accusations had been made against me and these were committed in my locality, without staying how I could commit such crimes. So the accusations brought against me are the false in the history. Most of the names of places which had been mentioned were not known to me. For example, kormoja, it had been mentioned that I did take the vindictive action because the people of the Kormouja did not give me vote but I was not the candidate in 1970 so how the question of voting me can arise. I was candidate for the first time in 1986”. Chairman again said to pause. Later on Moulana Nijami said, “The name of mine as secretary of Jammat-e-Islami was first published in 1988 and the threat was made to my wife introducing the caller himself as my friend on the day of taking publication as to my new post as secretary, and my wife informed me, one unknown person phoned her and said if the I become involved with jamaat actively, she had to be widow. If she does not want to be widow, she had to prohibit me to be active in Jamaat-e-Islami. My wife replied that my husband did something understanding the situations. So I cannot take responsibility to prohibit him to do or not to do anything”. Moulana Nijamai said, “I became the leader of parliamentary party being elected in election 1991.The “Gatok Dalal Nirmul Committee” was established at that time. I had to campaign in the parliament, Supreme Court and politics. I had to play role being a secretary General and leader of the parliamentary party. I came into in light from that time. 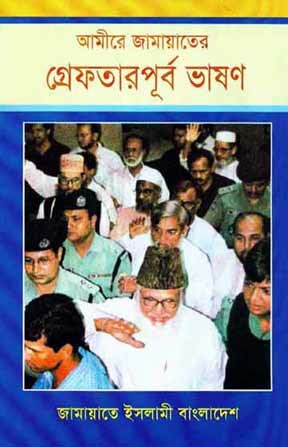 The name of mine was declared in 2000 through the election of Jamaat as Ameer. I was elected as Ameer for the first time. The decision was that the oath will be conducted on December 6 .The bones bringing it from the old bridegroom were telecast in television on the day of taking oath. On the other hand it was done to make the newly elected Ameer debated. But I got the more votes from this Kormuja”. Chairman again requested to pause the speech. Later on Moulana Nijami said, “195 war criminals were selected from military and civil personalities. They are not brought under the trial of this court. The members of the “Malek Minister” are not brought under the trial of this court. The superior leaders of the “peace committee” are also not brought under the trial of this court. Sheikh Mujibur Rahman sent the car to bring Sobur Khan but he had not been brought under this trial. He added, there is no scope to bring any person under the accusation of war crimes only for political reasons”. Moulana Nijami said, “195 war criminals were pardoned and I saw in the newspaper 195 war criminals were pardoned to continue the leadership of Bhutto. Bhutto is responsible for genocide”. He said, “When the assembly was suspended on March 1, 1971, the cricket playing was continued and the person enjoying the play brought out in the street and they said, “………..free the east Bengal” Moulana Nijamai said, “Bhutto came in bangladesh as VIP guest in 1974 and he was congratulated unexpectedly. He had to be sent to Savar Smriti soudh by air because of innumerable peoples’ gathering”. Chairman said in this phase, “do not disclose the defence, your lawyer will say this matters”. Later on Moulana Nijmai said, “They became angry. When I became Minister. I assure again that I did not do anything which is prejudicial to the country .When I was agriculture minister, several steps were taken by me for more production”. Chariman again said for finishing the speech. Nijami said, “No government is the last government. No trial is the last trial. Another trial is prevalent after this trial. Where you and I have to face. He mentioned, this trial is conducted for mitigating the vindictive tendency in politics”. He intending the chairman said, “You furnished the pilgrimage before coming here. Chairman said, not before sitting here, rather I completed pilgrimage sitting in this seat”. Moulana Nijami said, at the time pilgrimage, you gave the salam to Rouja mubrak of Rasul (sm). I completed my speech after mentioning two hadith of Rasul (sm)”. First hadith of Rasul (sm) is: To be the person speaking false, a person says something what he hears is enough. So from this hadith we can say that no evidence can be based on the hearsay materials. The second hadith is that the judges are three kinds: 1. the judges bring out the true things, and understand the facts and give proper judgment. They are divine judges. 2. They will understand the truth but they will not give the judgment understanding the materials. They deserve to condemn to hell. 3. They will give the judgment without understanding the matters, they also deserve to condemn to hell. I expect you will join in the first class judges; never will you join in the second class or third class judges. Later on the chairman of the tribunal fixed the date of taking deposition of witness on July 1; 2012.Taking deposition will be started on that day after giving the introductory speech of the prosecution.